Jury deliberations began Thursday night in the murder trial of James Alex Fields, the man who is accused of ramming his car into a crowd of counterprotesters last year in Charlottesville, Virginia, killing Heather Heyer. 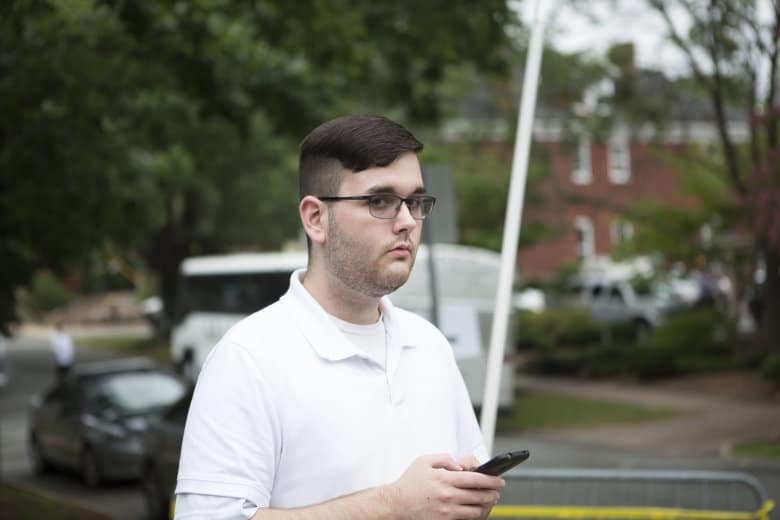 CHARLOTTESVILLE, Va. — Jury deliberations began Thursday night in the murder trial of James Alex Fields, the man who is accused of ramming his car into a crowd of counterprotesters last year in Charlottesville, Virginia, killing Heather Heyer. Prosecutors closed their arguments by zooming in on Fields’ face in a photo taken as he hit the crowd, saying it was not the face of someone who was scared, as Fields claimed after the fact. “That is the face of anger, of hatred. It’s the face of malice,” said Nina-Alice Antony, assistant commonwealth’s attorney. Denise Lunsford, who made the closing argument for Fields’ defense, instead suggested to the jury that Fields was an immature 20-year-old at the time, who did not intend for anyone to get hurt. She said there were bad people on all sides during the August 2017 events and asked the jury to find him guilty of no more than lesser included charges of unlawful wounding and involuntary manslaughter. “Whether a crowd is joyful or in an angry mob depends on which side of the police ring you’re on,” Lunsford said. White nationalists gathered in Charlottesville the weekend of Aug. 11, 2017, in defense of statues in the city honoring Confederate leaders. The night’s torch-lit march and next day’s chaotic rally also drew counterprotesters. An outside review has found Charlottesville was ill-prepared for the day. “He wasn’t angry. He was scared,” Lunsford told the jury. She dismissed a meme Fields shared of a car plowing into protesters as one of many social media posts, and said a text he sent his mother with a photo of Adolf Hitler was simply a smart-aleck response. The focus of the jury is to determine intent. 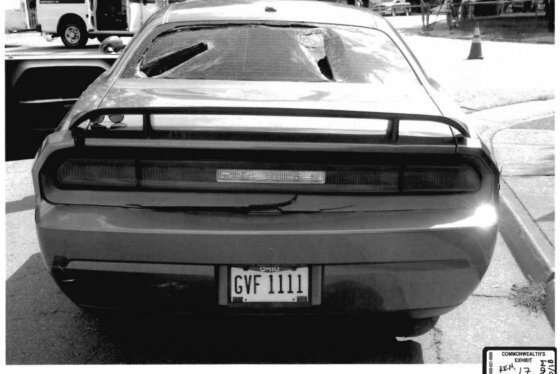 If Fields even briefly decided that he wanted to cause harm before plowing his car into counterprotesters, the jury would convict on the most serious charges, including first-degree murder. The judge excused four alternates just before the start of deliberations, leaving a jury of five men and seven women. They are due to resume deliberations at 9:30 a.m. on Friday. Following two final defense witnesses Thursday, one of whom briefly disappeared, both the prosecution and defense presented their closing arguments late Thursday afternoon. 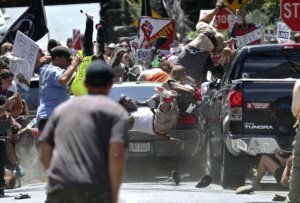 The final defense testimony came from Joshua Matthews, believed to be the last passenger in Fields’ car on Aug. 12, 2017, before Fields rammed his car into a crowd of counterprotesters near Charlottesville’s downtown mall. Matthews said he had come to the white supremacist rally to be with like-minded people. Fields’ attorneys tried to show that he may have felt threatened before killing 32-year-old Heather Heyer and injuring many others. Prosecutors used Facebook location data from Fields’ phone to undercut claims Fields could have felt threatened by a counterprotester who had a gun, since the timelines did not match up with the period and location where Dwayne Dixon claimed to have yelled at a car that looked similar to the one Fields drove into the crowd. After Fields dropped Matthews off at a parking garage, Matthews took a photo with a Donald Trump banner, then went home, since he could not find Fields to meet him for lunch. Following his testimony Thursday, Matthews was ordered held on contempt of court since he failed to appear Thursday morning until after the judge had ordered him arrested. If Fields is convicted, the trial would then move to a sentencing phase, where the jury would consider whether to recommend life in prison. The judge would typically then consider that recommendation at a later date, but it is unusual for judges in Virginia to lessen sentences recommended by a jury.